Short of space with tons of podcasts to save? 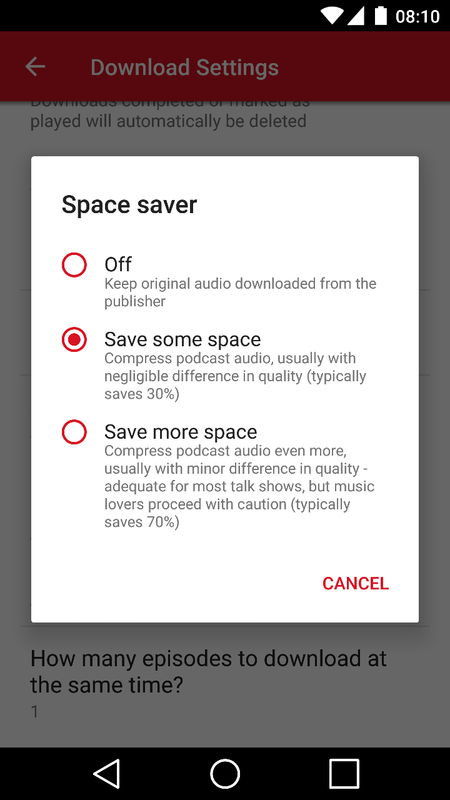 Fear big numbers no more, because Player FM's Space Saver will compress your audio downloads, saving up to 70% of storage space with typical speech media. Storing a hundred episodes at 100MB each would normally take 10GB of your storage, but now they compress down to as low as 3GB. That's 7GB of your phone's precious storage freed up for more apps and more content. Choose how much to compress, if at all. "Save some space" typically saves 30% without noticeable impact — a good setting for music media and audiophiles. "Save more space" typically saves 70% and still with little impact on typical speech content. How does Space Saver compression affect audio quality? 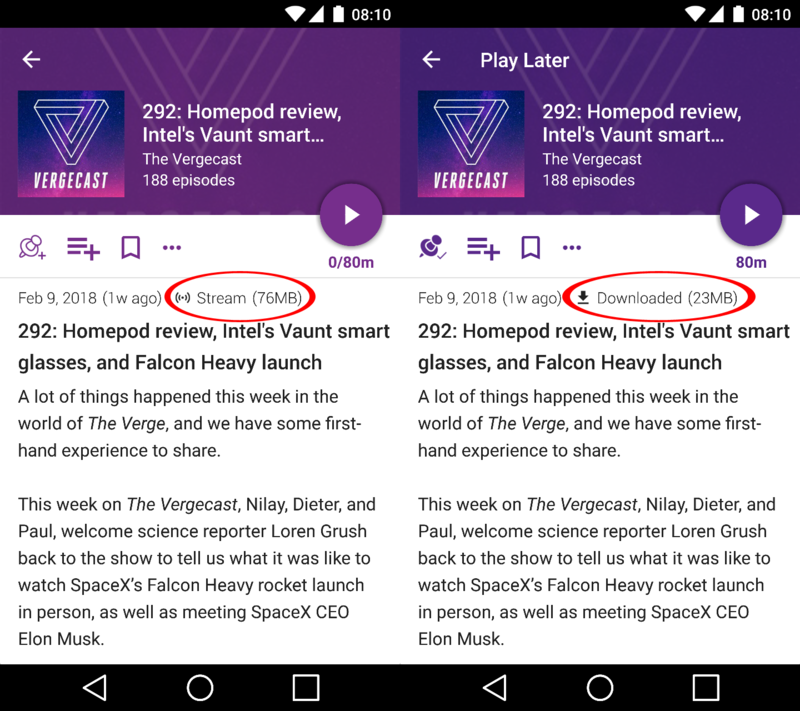 The Space Saver feature compresses the downloaded episode files to make them smaller. The difference in quality is usually not noticeable on talk shows, yet you should proceed with caution with music podcasts, especially at the highest compression level. How much space is saved after enabling the Space Saver options? The "Save some space" option will save up to 30% off the original file size while "Save more space" will save up to 70%.